Picture this, before one of them gets married a group of guys go out to celebrate, get drunk, wake up with no memory of the many things they did the previous night and then have to try fix everything in time for the wedding. While this may seem like a totally original, never seen anything like it before plot to some, others may notice some striking similarities with a little known movie called The Hangover. However, don’t worry because A Few Best Men does plenty to set itself apart from The Hangover franchise, like having a story that isn’t completely predictable. When David (Xavier Samuel) returns home his friends are shocked to discover that he is engaged to his holiday romance, Mia (Laura Brent). David then brings his friends to Australia, where Mia is from, so that they can all meet Mia’s family a few days before the wedding, but will the English lads fit in? After they there, David goes off with his bride to be while his friends take a detour to get something extra special for the bachelor party. From here there’s a bunch of crazy stuff involving sheep, alcohol, gun violence and some missing cocaine, but let’s not spoil all that. However, even with all the wild stuff that happens at, and because of, the bachelor party the most unrealistic thing in the movie is how quickly the wedding was put together. Despite the obvious comparison to The Hangover, A Few Best Men didn’t feel like a rip off. The characters are likeable and their friendship seemed much more real than those in The Hangover, particularly David and Tom (Kris Marshall) who seemed more like brothers than friends. As the movie progresses so do the characters and you can see the relationship between Mia and David begin to show cracks as they start to realise how little they know about each other and maybe their holiday romance should have ended at the airport. The best thing about the movie is that no matter what crazy problem the boys bring on themselves, the characters always seem real. They are believable as a group of people that grew up together and care about each other. They took in David, who doesn’t have any family, ‘even though everyone though he was gay’ and they all just became brothers, which is what motivates them to try keep the wedding on track. Then again, if male bonding and crazy bachelor parties don’t get you to the cinema, go for Olivia Newton-John who plays the hilariously crazy mother-in-law. 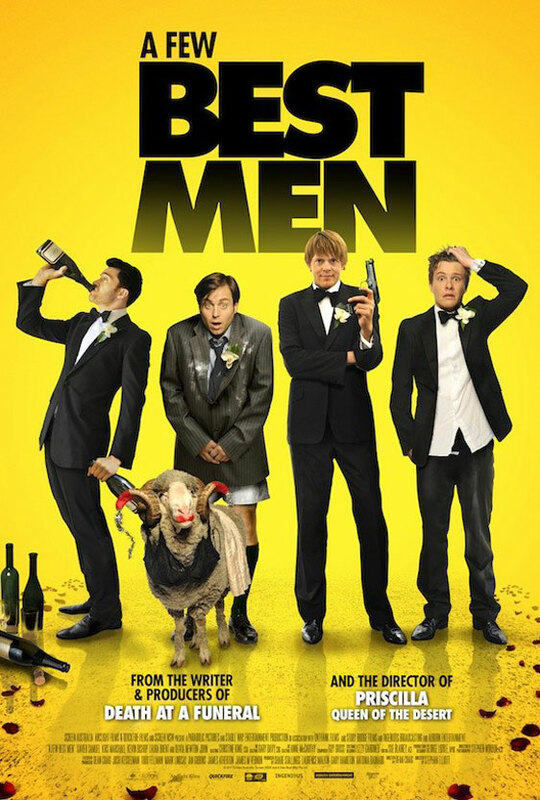 A Few Best Men hits cinemas today so be sure to check it out if you like comedies, even if The Hangover wasn’t your favourite movie you’ll definitely find a laugh or two at this English/Australian mix, which is brought to you by the people behind Death at a Funeral (the English version). 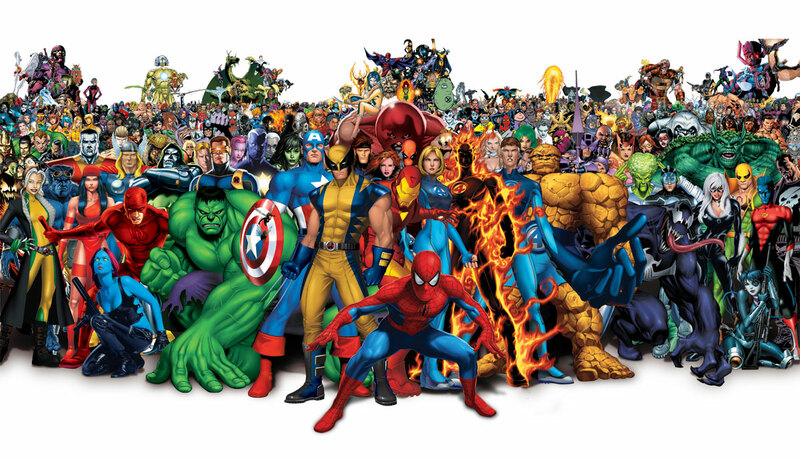 Today I saw a list of the top 100 superheroes. I didn’t look at which one was number, because I actually want to go down the list and see them all. While I probably won’t know some of them, I’m still curious to see were my favourite heroes placed on the list. I then start thinking about making my own list. I remember how long my 100 things about me post took so I’m not going to do 100. Instead I’m going to stick with five, but I’m also going to include my top five villains. I’m already debating on the order so I’m just going to leave the order random. Anyway, let’s start with the heroes. 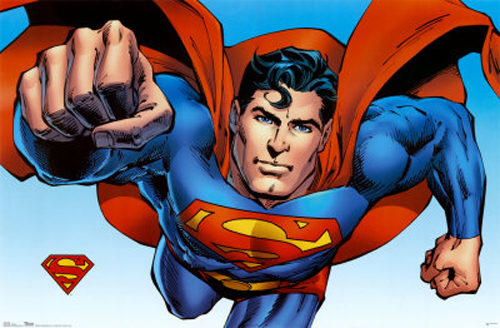 Superman; I know it sounds boring, but I’ve always been a fan. The first comic I read was actually a Superman comic so I guess that has a lot to do with it. Some people say he’s too powerful, but I don’t see the problem with that I don’t want to back a weak superhero, besides Krytonite seems to be readily available in the DC universe, plus he’s affected by magic. 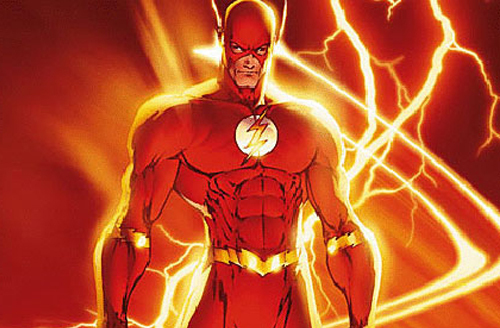 The Flash; I just really like the character. I have for years. 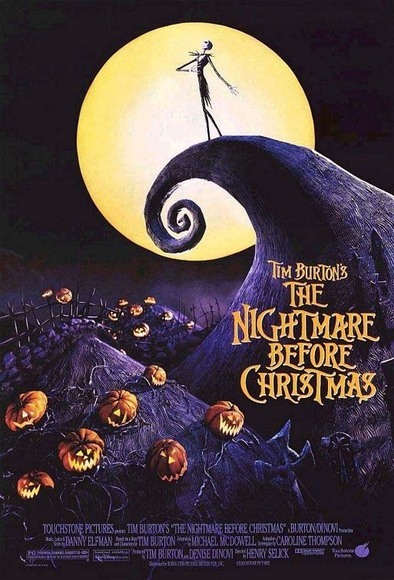 I remember my friend even recorded the movie for me when we were kids. What’s cooler than being the faster man in the world? Nothing, that’s what. 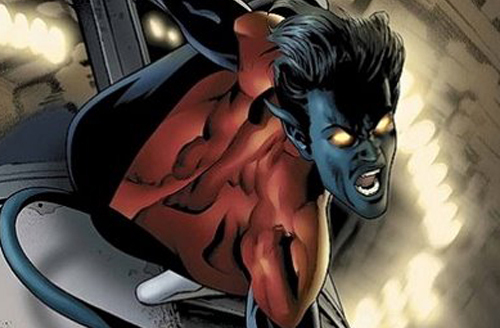 Nightcrawler; It all started in 2003 when the second X-Men movie came out. He was one of the new characters and I just thought he was really cool. Ever since he’s just been one of my favourite superheroes. His powers and the flaws in his powers are just so well thought out. Then again, after seeing The Fly, the remake not the original, I don’t think I’m ever going to want to teleport (no one ends up with a fly head in that version, for people who have never seen it). Batman; You’ve got to love a spoiled rich kid that uses his money to fight crime. Big fan of gadgets, pure and simple. 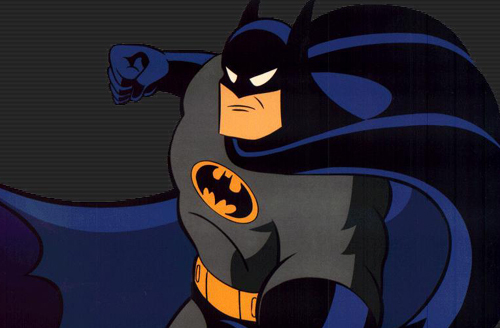 I think Batman is one of those heroes that everyone knows about whether they want to or not. Who doesn’t know his back story? Iron Man; I generally prefer my superheroes with superpowers, but, to avoid sounding prejudice to non-powered heroes, I’ve included another. 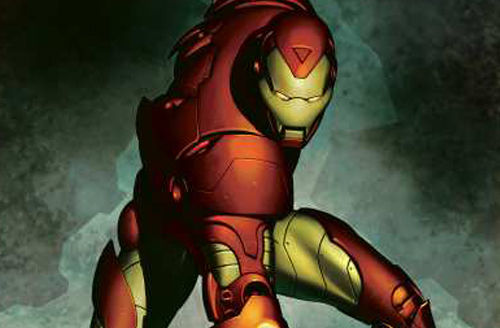 Also, the 2008 Iron Man film was great and I’m looking forward to seeing him in the upcoming Avengers movie. 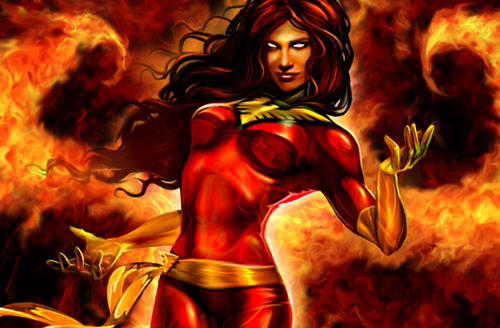 Dark Phoenix; I was actually going to put Phoenix in the hero section, but I realised I like her better as a villain. She wasn’t done justice in the third X-Men movie, but it wasn’t completely horrible. Her storyline is a pretty interesting part of the X-Men comic and animated series’. Black Cat; Forget Batman, Black Cat is the real anti-hero of the comic world. 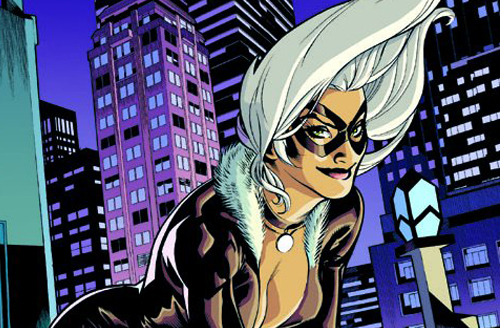 Her philosophy is that she is the Black Cat and Felicia Hardy is just a character she plays. 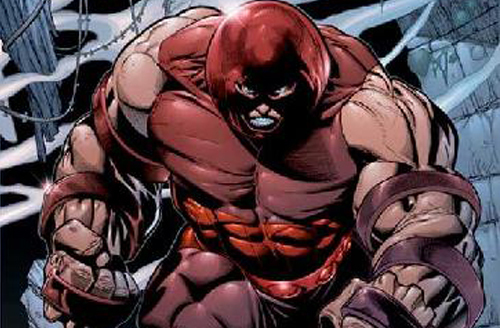 Juggernaut; I just always remember him from the cartoon when I was a kid. He just stuck with me so he made the list. He too was not done justice in X-Men 3. 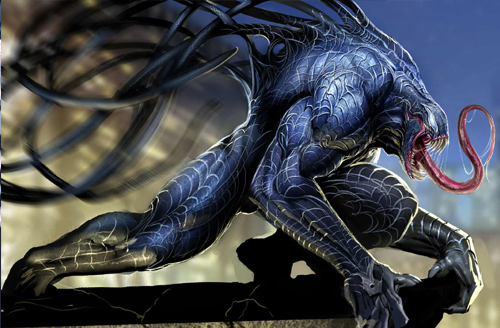 Venom; Definitely deserves to be on anyone’s list of favourite villains. It’s kind of like Dark Phoenix when I think about it. The idea that an external force can just sort of takeover, or at least influence you, is really interesting. Also, both he and Phoenix have infected more than one person. 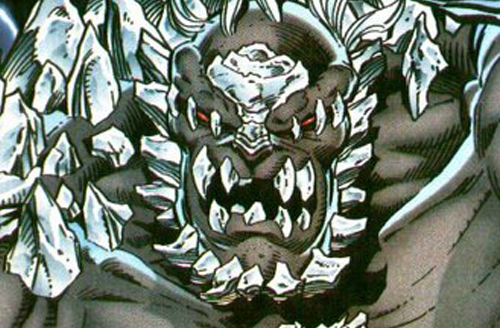 Doomsday; Though I was let down my how Smallville ended Doomsday’s storyline, the character was done very well. However, the comic book version is very different, for one thing there is no Davis Bloome. I do think that adding the human side worked for the show, but either way the villain that killed Superman should be on everyone’s favourite super villains list. Do you agree/disagree? Let me know by voting and leaving a comment below. 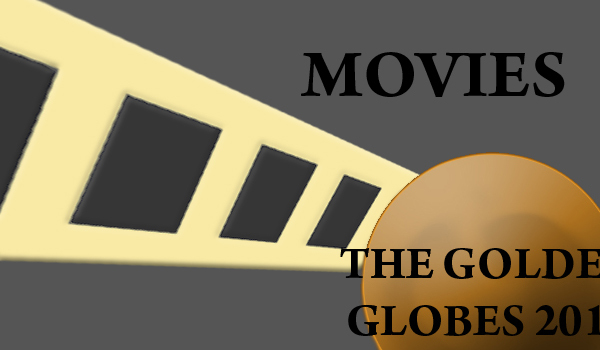 Winning an Oscar is pretty much the best thing that can happen to an actor, director or anyone in the film industry. The winners are selected by other members of that field e.g. Best Director is picked by directors. It’s basically like all your co-workers saying ‘you’re the best’. It’s the high point of their career, they’ve peaked and it’s all downhill from there. With the exception of those who win multiple Oscars, those bastards. Melissa Leo’s speech was interesting; she managed to say the ‘F’ word on, what’s probably, the most elegant event there is. This is the first year that I’ve actually watched the Oscars, granted I didn’t get to see it all because of the time difference, but I’ll catch a repeat. To be honest, I was expecting it to be overly formal and boring, but it wasn’t (which is a good thing). I’ve annoyed people all day, as I desperately try to describe the opening clip that, hosts, James Franco and Anne Hathaway made. It was hilarious, but the funniest part was Franco’s grandmother who stood up and proclaimed ‘I seen Marky Marky’. Do you agree with the results? Leave a comment and vote below. The Grammys, despite what you may have heard on the Simpsons, are a big achievement for performers. Stars gathered to see who the winners were. 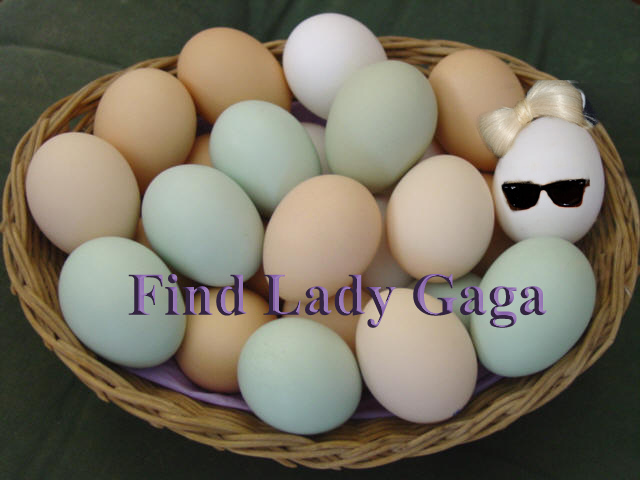 Lady Gaga proved that she comes in either a pack of six of eight, bad joke aside; she was in an egg for her grand entrance onto the stage. Apparently she had to stay in the egg for three hours before hatching onstage, surprisingly not dressed as a chick. Katy Perry also shocked the audience as she played video clips of her wedding behind her as she performed, until now her wedding pictures had been kept away from the press. 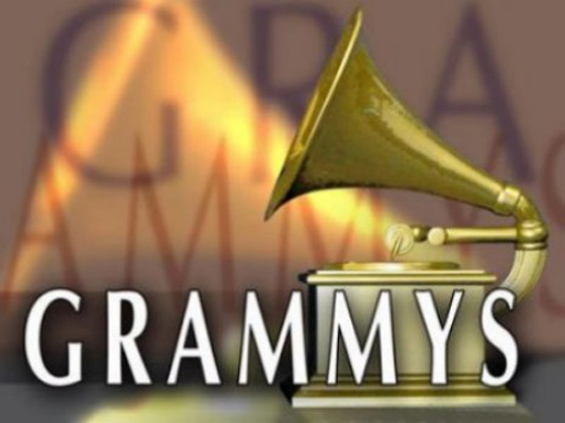 The Grammys has 109 so I’ve selected a few and a full list can be found at grammy.com. Surprisingly Bruno Mars beat Michael Jackson, who was also nominated for best male vocal performance, maybe Michael’s finally going to get to rest in peace as his career, which outlived him, fizzles out. Train can really sing, the live version of Hey, Soul Sister is great and will be at the end for anyone who wants to listen to it. I’m not really the dancing type so I’d love to hear how people feel about Only Girl winning in that category. Does it get your booty shaking? I was beginning to think I was the last remaining La Roux fan, so I’m really glad there’s more out there. I couldn’t be happier about Muse winning Best rock album. They deserve it, they made a great album and the title song, The Resistance, will also be at the end. For a full list of the winners, and losers, head over to the Grammys website, grammy.com, vote and leave a comment below or your band will never make it. 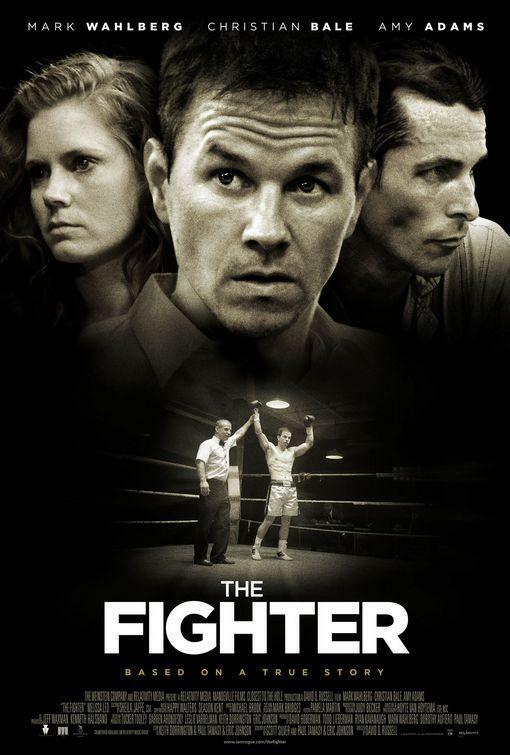 The fighter is a biographical movie based on the career and life of boxer Micky ward. The film stars Mark Wahlberg, Christian Bale and Amy Adams. 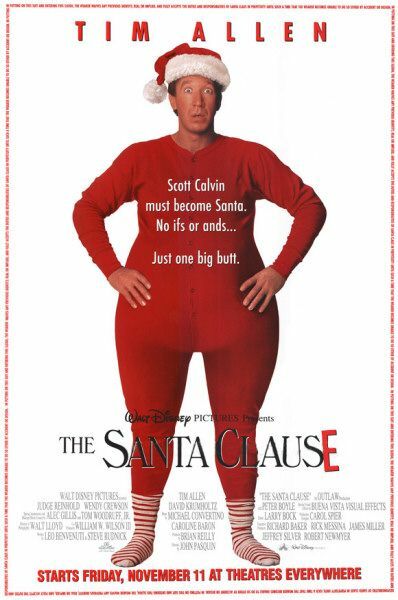 Wahlberg has been trying to get this movie made since 2005, partially because he really wants an Oscar. Better luck next time Wahlberg, as he failed to get nominated for best actor, but the movie may still win best picture and director David O. Russell is also up for an Oscar. 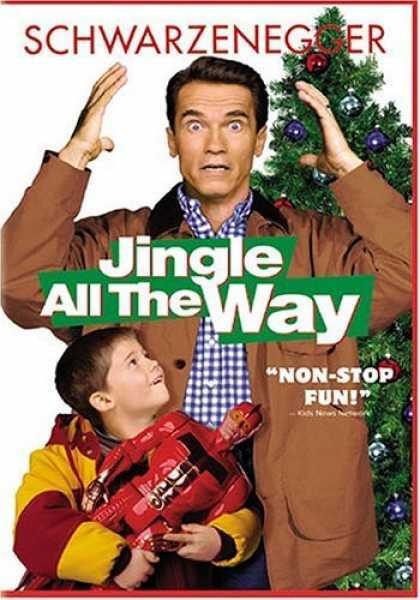 The movie gives a detailed look at Ward’s early career. It also focuses on his brother, who trained him, getting addicted to cocaine. Bale’s performance as Ward’s sibling, Dicky Eklund, is rumoured to have stole the show as his character faces the more difficult storylines. These rumours appear to be true as Bale did get nominated for an Oscar, best supporting actor, also Amy Adams and Melissa Leo, from The Fighter, have both been nominated for best supporting actress, so it’s pretty much just Wahlberg that didn’t get a nomination. Anyone else starting to feel sorry for Mark Wahlberg? The movie hits Irish and UK cinemas this Wednesday, the 2nd of February, so be sure to check it out. 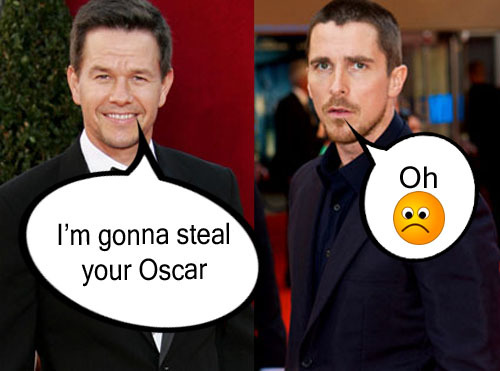 Do you think Mark Wahlberg should get a pity Oscar? 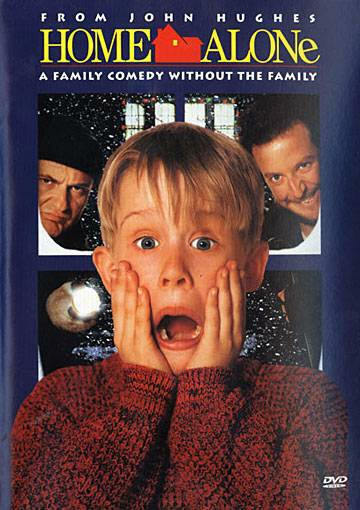 Have you seen this film? If so, did you like it? 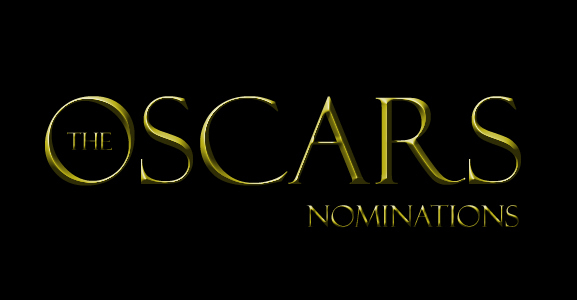 Yesterday was the RAZZIES, the Golden Raspberry, nominations, but today we have the Oscar nominations, which some would argue are less important, to the world of film, than the RAZZIES. 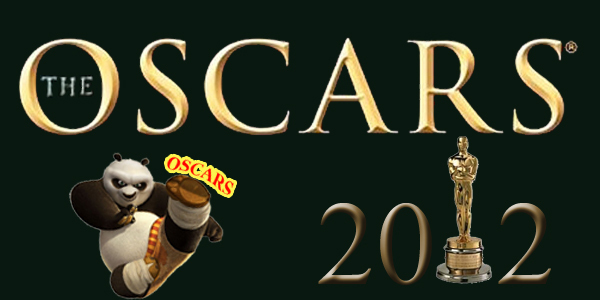 The Oscars has many categories, but the most important are; best picture, best director, best actor, best actress and best visual effects. Considering that Toy Story 3 technically shouldn’t even be in this category, because there is a separate category for animated films, I’d say it definitely has a chance of winning. 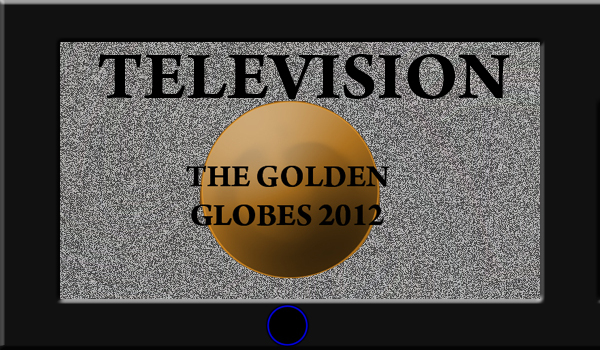 Although, personally, I would prefer to see Inception get the award. Guess we’ll have to wait and see. Disappointing to see that Christopher Nolan did not get nominated, he’s such a great director. For this category my money is on either David Fincher or Darren Aronofsky. Colin Firth will probably win, but I’m hoping for Eisenberg. By doing The Social Network he broke out of being typecast and I love when that happens. Come on Jack Black break away do something that requires more range. Portman has this in the bag. Nothing against the other nominees, I’m sure they all did great and it’s an achievement to be nominated, but the girl broke bones to make Black Swan, that’s commitment and it shows. Although we now know who the nominees are, we won’t know the winners until the actual ceremony which will be on February 27th, the day after the RAZZIES. Who do you think should win? Let me know by leaving a comment and voting below. 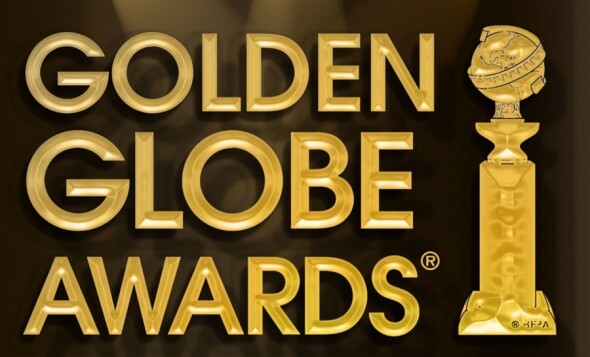 I’m going to take a break from writing about remakes, though there will be another one tomorrow, and instead I’m going to talk about the Golden Globes. It’s no surprise that Natalie Portman won Best Performance by an Actress in a Motion Picture for her portrayal of Nina in Black Swan. The movie was so well received that it would have been a complete shock, to me, had she not one. The male version of this award, Best Performance by an Actor in a Motion Picture, went to, Mr. Darcy himself, Colin Firth for his movie The Kings Speech. 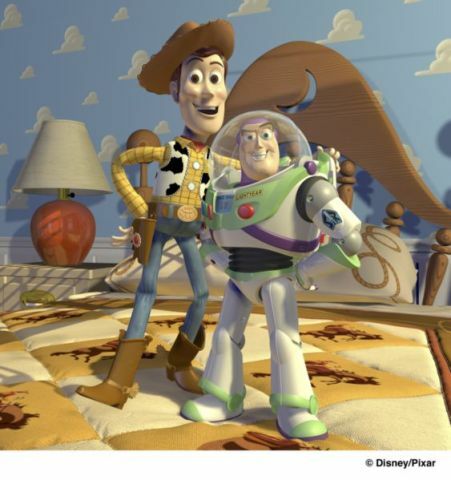 Toy Story 3 won Best Animated Feature Film. It’s not that I wasn’t expecting it to win; it’s just that everyone I know who saw it didn’t like it. They said it was good but way too sad, some even said they wished it wasn’t made. I was hoping something more fun loving would win, but maybe next time. Best Motion Picture Comedy/Musical went to The Kids Are All Right, which is about two lesbians, in a relationship, that each used the same sperm donor to have kids and now those kids, who have reached teenage years, find their biological dad. 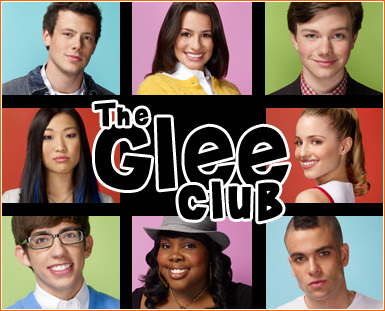 Glee got the award for Best Comedy/Musical TV Series. It actually beat the Big Bang Theory in this category, which I wasn’t sure it would due to Glee’s decline in popularity. The Big Bang Theory didn’t completely miss out as Jim Parson, Sheldon, walked away with the award for Best Actor in a Comedy/Musical TV Series. Jane Lynch and Chris Colfer, of Glee, didn’t leave empty handed as they won Best Supporting Actress/Actor awards respectively. 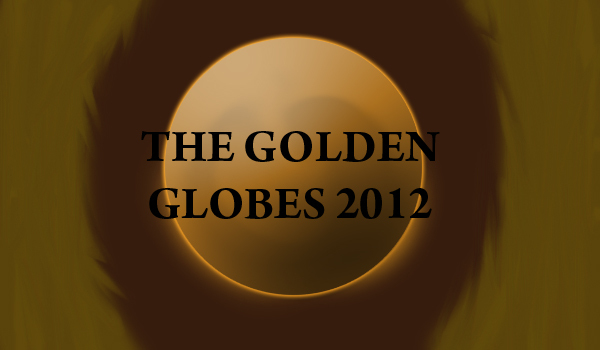 Isn’t it strange that comedy and musical are paired together in the Golden Globes? Are you happy with the winners? Let me know by leaving a comment below.